Dallas model 'E' ukulele-banjo from the estate of George Formby SOLD! 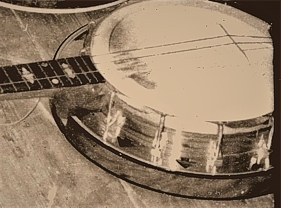 The first ever George Formby model 'E' banjo-uke, presented to George himself by the manufacturers John E Dallas & Sons before production commenced, probably in 1936. 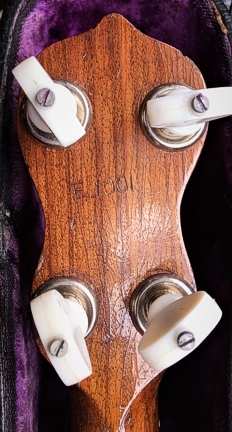 Serial number E/1001 can be seen on the back of the peghead. Formby kept the instrument until his death in 1961; after which it was purchased by his brother Frank at the famous 'Beryldene Auction'. 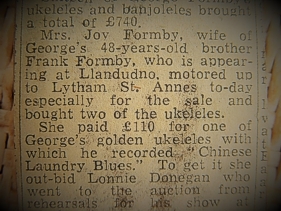 Months later the uke was sold to entertainer Les Henry, who retained it until 1998 when it was purchased by Formby impersonator Alan Randall. Now, twelve years after Alan's passing, the Randall family offer for sale this unique piece of showbusiness history. View the video for a demonstration and commentary by Andy Eastwood; contact details below.